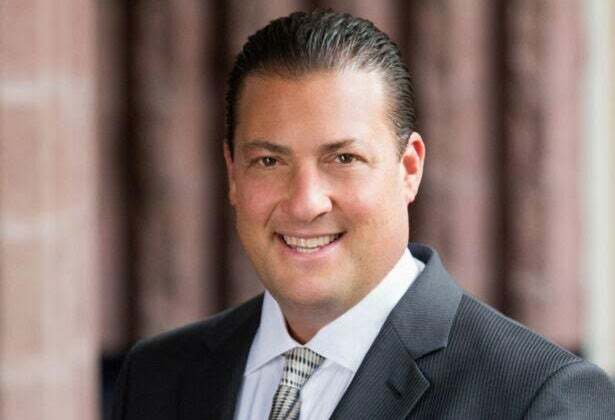 You may think you already know Kenny Dichter, the serial entrepreneur with the seeming Midas touch whose latest company is private aviation firm Wheels Up. After all, he has been profiled in Elite Traveler, Luxury Retreats magazine and Business Jet Traveler. He’s been featured on the Travel Channel and Bloomberg Markets. His many successful business ventures, from Tequila Avion and Marquis Jet to Juice Press, have been frequent subjects in the business press. And Dichter himself is active on social media. Yet here he is, casually attired in jeans and a sweater, sitting in his company’s conference room -- a large space adorned with sports memorabilia that overlooks New York’s Times Square -- and you realize suddenly that you don’t know him at all. You don’t. That may be deliberate, on Dichter’s part: “Put your brand out there first. The brand should be a personification of the people behind the brand,” he tells you. But of course that only further piques your interest. Because Kenny Dichter is someone you want to know, and he wants to know you, too. No, he really does. “Everybody,” mind you, includes celebs like Mike Piazza, Serena Williams and Warren Buffett, but also random personal connections. Consider that the PR representative who set up this interview has a close family friend who was Dichter’s fraternity brother in college. Consider that the contractor on Dichter’s house is friends with the PR rep’s brother and that, within minutes of our meeting, he’s found a connection to me. “You’re from Livingston?” he asks when I tell him where I grew up in New Jersey. “I have a house in Livingston, by the hospital.” He now resides primarily in Purchase, N.Y.
Randy Brandoff thinks Dichter has this network thing nailed. “It’s not lost on him that one of the key components to his success is his network,” says Brandoff, who was CMO at Marquis Jet and later played an integral role in launching Tequila Avion. Brandoff, now CEO and founder of luxury-watch rental company Eleven James, was first set up with Dichter by a headhunter. He was intrigued by Dichter’s idea for a private aviation company that let users pay for their flight hours in a debit card-like system. Brandoff says they hit it off trading stories about summer camp and Long Island, where they both grew up. That meeting was 15 years ago; Brandoff became Marquis Jet’s first employee and he and Dichter are still in touch today. Dichter, 48, is an undeniable networker, but when it comes to the businesses he’s built, he’s quick to point out that he’s an innovator rather than an inventor. “I don’t have 10-year vision. There are certain people that can see the world 10 or 20 years forward. I can see the world about two or three years ahead. That’s about as far out as my vision goes,” he quips, with mild self-deprecation. His charming modesty allows him to deflect uncomfortable questions. While he admits that predicting what people will do is a strength of his -- he credits that to having studied sociology at the University of Wisconsin-Madison -- he won’t confess on the record to having any weaknesses at all. “Where I’m weak, I hire strong,” he says. Similarly, he won’t name any business failures in his career, if in fact they exist. Instead, he prefers to focus on the positive. “You can’t fail, you pivot,” he says, smiling as he utters the startup world’s favorite buzzword. Maybe he can’t be blamed for the semantics. After all, he doesn’t seem to have much experience with failure at all, according to a review of past business media. Dichter’s three-decade career as an entrepreneur began in college, when he started Bucky’s, a clothing and gift shop on campus in 1987. He opened a total of three locations and, after graduating, sold them to his business partner -- someone he had met through the Yellow Pages. From 1992 to 1995, he developed a few clothing lines with the backing of a friend’s dad, who was a seasoned manufacturer. Then, in 1995, he started Alphabet City -- a sports marketing, music production and distribution business -- with partner Jesse Itzler. Three years later, that company was sold to SFX entertainment for more than $4 million, though Dichter remained involved until 2000. The following year, 2001, he started Marquis Jet, which pioneered the jet card concept and was sold to Berkshire Hathaway (yes, that Berkshire Hathaway) in 2010. For the next four years, Dichter focused on Tequila Avion, then sold it to Pernot Ricard. He also became a partner and an investor in the organic beverage company Juice Press. Today, he sits on various boards. Wheels Up, his latest company, launched two years ago and counts more than 2,000 clients. Its mission is to make on-demand private jet access available to more people by offering pay-as-you-go plans and fewer fees than other private-jet rental options. The fees, of course, are out of sight for many people -- the first year can cost $17,500 for an individual or $29,500 for a company. Still, Dichter believes there are 1 million people in North America who are “Wheels Up capable.” The company, which owns a fleet of 55 aircraft, also provides exclusive experiences and discounts to its members. The business mogul keeps his sundry interests straight due to what he calls his “attention deficit advantage.” He’s even gone so far as to purchase the domain attentiondeficitadvantage.com, which is unused as of now, but might come in handy in the future. Just don’t mistake that kindness for altruism; in fact, it’s a smart business decision. 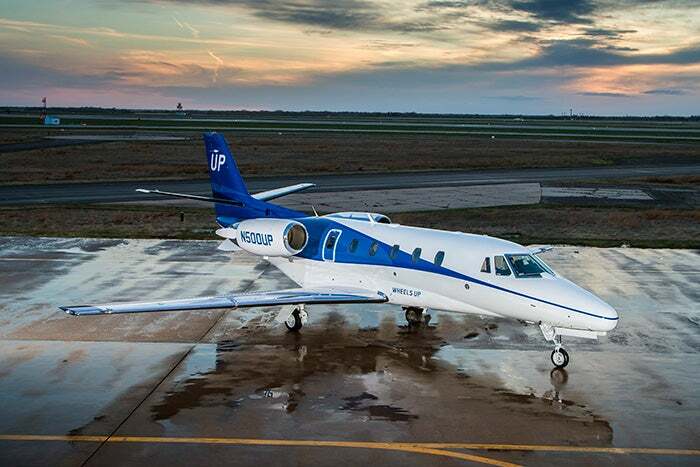 “He sees us as less of a competitor and more of a gateway drug into his product,” Eyerly says half-jokingly as he explains that the people who use Beacon, a private-jet service with fixed schedules, might eventually upgrade to Wheels Up’s on-demand model. Just as he helps others learn from him, he seeks out opportunities to learn from his predecessors. He works quotes into the conversation from a business bigwig like David Geffen, and mentions lessons he’s learned from the careers of Tommy Hilfiger, Joseph Abboud and Steve Wynn. One such lesson is: Don’t name your company or your product after yourself unless, like the Wynn Hotel in Las Vegas, it’s the last project you do. Dichter describes, too, how he used to have successful entrepreneurs and athletic coaches talk to the Marquis Jet staff for an hour or two about how they found -- and kept -- success. While he enjoys the perks of his success and the triumphs of those around him, he has stayed grounded. In the conference room, on a shelf that holds sports memorabilia signed by star athletes, there’s a framed photo of him and his wife, Shoshana, whom he’s known since they began dating in college. Shoshana is also the senior vice president of communications for Wheels Up. And, while his Facebook page is full of pictures with celebrity clients, his background photo features his three daughters, ages 15, 11 and 8. On this tack, when he talks about Wheels Up’s ideal customer, he describes a busy CEO or celebrity who wants to get home for dinner with the family at the end of the day. The interview is winding down. An hour has gone by -- quickly -- and the room feels relaxed. When Dichter mentions growing up in Merrick in Long Island, N.Y., I have to ask if he’s been to Nunley’s Carousel in Garden City, a place my mother always mentions.